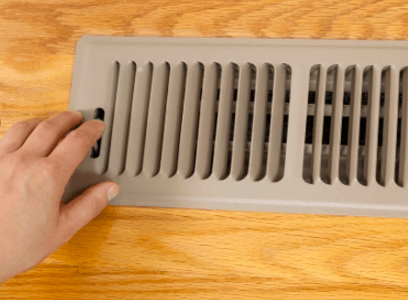 Is It OK To Close Vents In Your Home? Have you ever wondered if you could save energy by closing vents in unused rooms? Have you ever tried to correct hot and cold spots in your home by shutting the air registers in certain areas of your home? If so, you are not alone! Here at Logan A/C & Heat Services, we've been asked the age-old question many times and for many different reasons: Is it ok to close the vents and registers to your HVAC system? The simple answer is 'no'. Regardless of your reason, our experts DO NOT recommend ever shutting your vents or registers completely, and here's why! All heating and cooling systems are installed with your home size and layout in mind. The square footage and style of your home is what is used to determine the size, or BTU, of the system you need. When you close off the vents in one or more rooms, you are essentially causing your system to now be oversized for the area you are trying to heat and cool. Oversized systems typically suffer from turning on and off frequently, which can cause your system to become overworked and could also result in high utility bills. In some cases, your system is not sized properly; you could have an undersized system. If areas of your home are extremely difficult to heat and cool, it could be worth it to meet with one of our comfort specialists to confirm that your system is the size it should be. Full system replacement could be necessary to achieve proper comfort, and our specialists are able to provide you with those options. When you close off the vents in a room, you are completely blocking airflow to that space. That's the point right? Here's why it is a problem: If that air isn't passing through the vent, it is being backed up in the ductwork, which causes pressure to build up within the system. This pressure can cause your system to overheat and break down. The pressure built up within your system due to closed vents can also result in long-term damage to your system. Leaks can be caused or made worse inside your HVAC system ducts, which can greatly impact the efficiency of your system. The additional pressure can also cause cracks in your heat exchanger, increasing potential for carbon monoxide in the home. This can be serious and lead to carbon monoxide poisoning, sickness and even death. If you want to try to balance the airflow throughout your home, you should not close vents completely; HOWEVER, you can close them slightly (not more than 75% closed) to help distribute air better to the areas that need it most. The important thing to remember is that air still needs to be able to pass through the vent, so as to not cause a blockage and build up pressure.